Mian Nawaz Sharif is Prime Minister of Pakistan and Mr. Ishaq Dar, his ‘Samadhi’, is Finance Minister of Pakistan. Sometimes back when both were not in power, Ishaq Dar gave a statement in the court on an Affidavit that he had helped Nawaz Sharif in transporting a huge amount of money out of Pakistan through Money Laundering.. THERE ARE ONLY TWO POSSIBILITIES…. Mr, Ishaq Dar is telling a lie….!! 2. IF ISHAQ DAR IS TELLING A LIE, THEN HE SHOULD NOT HAVE BEEN THE FINANCE MINISTER.. BOTH ARE RULING THE COUNTRY !! This entry was posted in Uncategorized on September 4, 2015 by akhterhayatmalik. Though I am not in favor of any Martial Law or military takeover, but the way Mush case is being proceeded with, has raised some alarms. People in Pakistan, particularly the politicians, have just heard about dictatorship, they have not seen a real dictator as yet. We can name many dictators in history- some of them being Hitler, Mussolini, Stalin, Saddam etc. All coups in Pakistan have so far been bloodless which just resulted in a change of govt. A real dictator will not excuse even a slightest dissent and will crush any opposition ruthlessly. He will not hesitate to put hundreds and thousands of his opponents on death row. It is commendable for any civilian govt to talk about supremacy and safeguard of Constitution. PML-N govt has also embarked upon this venture. But they have not framed the treason charges well and proper. They have singled out Mush, applied para 1 of Article 6 of Constitution but have deliberately left / ignored accomplices of Mush like leadership of PML-Q, MQM, PCO Judges and other Generals. Similarly all those who have been enjoying power while siding with Mush, have taken their ride with PPP and are now sitting with Noon. They have neither been condemned nor penalized. This is dangerous and will help in averting the possibility of a future Martial Law. I fear if the things are allowed to move in the same direction the next Martial Law will be bloody, ruthless and cruel. The architects of a future Martial Law will wipe out all those from whom they could feel threatened, will erase all proofs and above all will come to power for an indefinite period. They will not bank upon their civilian supporters / accomplices and will probably not use the crutches of a parliament or judiciary. I wish it never happens and our civilian institutions get their roots firm. But I earnestly feel that the door of any future Martial Law cannot be closed with prosecutions and punishments, rather it can only be done with empowering the people through real Local Govt rule, eradicating corruption, establishing law & order, improving judicial procedures and making the economy strong. But so far no meaningful progress is in sight on a/m lines. This entry was posted in Uncategorized on May 2, 2014 by akhterhayatmalik. On the eve of 6 Sept we pay homage to our brave defense forces for the selfless sacrifices rendered by them in defense of the mother land. Despite of severe criticism from our media, politicians, civil society, journalists, immense pressure from India on eastern borders and terrorist attacks from western borders, and a well planned anti Pakistan / Army campaign at international level, our Army stands fast on all fronts. Pakistan Army is the last hurdle in the way of our enemies, both internal and external, who are bent upon destroying Pakistan. The 4th Generation War against Pakistan and its defense forces / ISI is going on in full swing, but our soldiers are displaying exceptional bravery and resilience to thwart this threat. But what is the real way of celebrating the Defense Day? How can we strengthen the defense of our country. Obviously the first step is to strengthen our armed forces and give them moral support to accomplish their mission. But given the scenario through which we are passing, I believe that the defense of Pakistan demands a total demolition of the existing corrupt, inefficient and inept electoral system. The electoral system of any country is of tremendous importance because it props up the leadership for making national policies and ensuring an effective governance in the country. If the electoral system is corrupt by itself it will never allow a truly honest and capable leadership to thrive. As is happening in Pakistan, the existing electoral system is continuously propping up the same old, rotten and corrupt people who have been looting and plundering the nation for 6 decades with impunity. This corrupt system does not allow to change the faces even, so we are not surprised to see the same people in assemblies who supported Musharaf, then were part of Zardari government and are now active members of Nawaz Shareef government without any sign of shame on their faces. The logical result is that this land has yet to see the light of any positive change. This inept electoral system effectively blocks the actual representation of poor people and down trodden segments of society. This system keeps the common people slave of the ‘electable’ who are otherwise the most corrupt and biggest law breakers of their respective areas. This system totally favors the looters, plunderers and corrupt persons and gives them authority to frame our destinies. It supports rigging and malpractices during election and once the victims plead for redress, the justice is denied to them. As a result of the elections conducted under this system, the corrupt mafia becomes ever stronger and exploits the poor people with more vigor. The so-called ‘representatives’ of the people sitting in assemblies and the cabinets will never have the moral strength and courage to face the internal and external enemies of Pakistan. They will be readily purchased and intimidated by the enemies and will not be allowed to make people-friendly and Pakistan-oriented domestic and foreign policies. 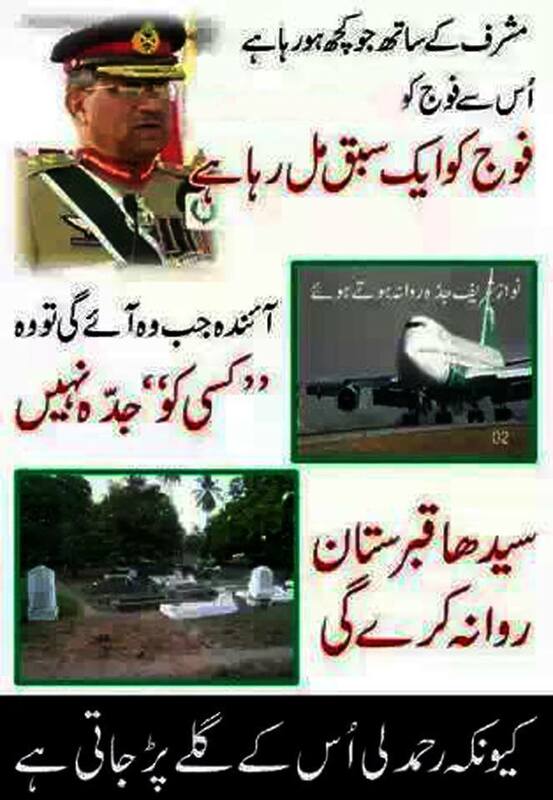 The defense of Pakistan will always be at a great risk if these people are allowed to remain at the helm of affairs. An utmost struggle like ‘Jihad’ against the electoral system is the only way to ensure the integrity, stability and progress of the country. 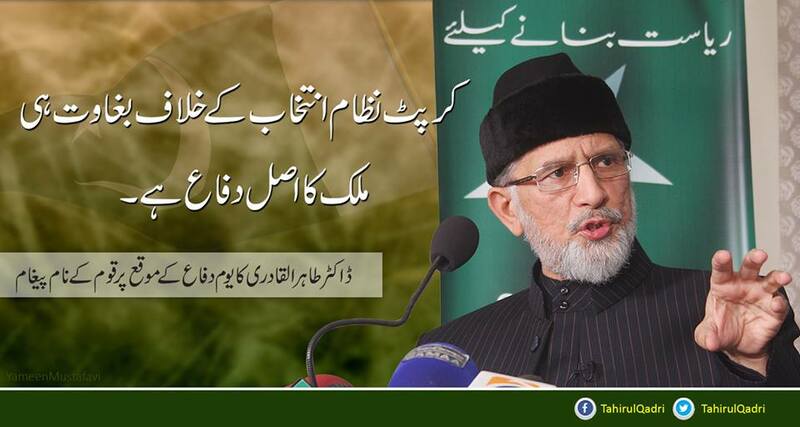 The continuation of corrupt electoral system is a serious threat to the very existence of Pakistan. 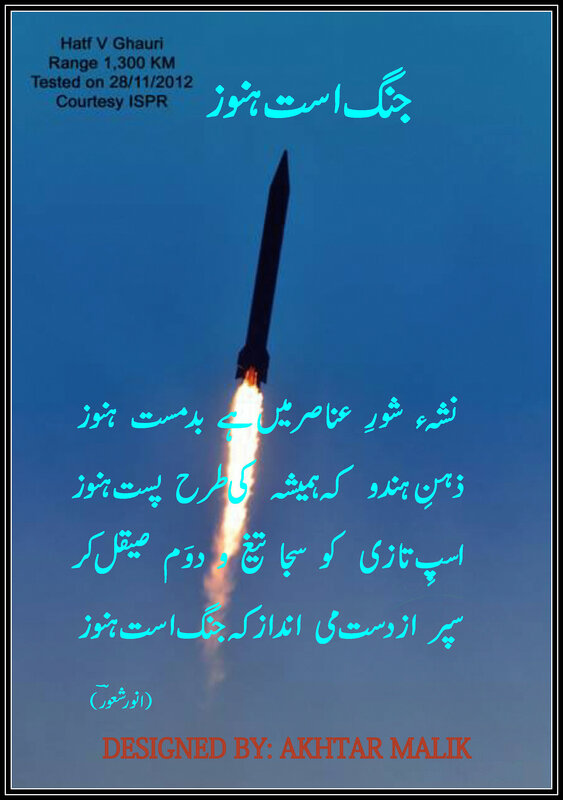 This entry was posted in Uncategorized and tagged Defense day, Defense of Pakistan, Election, Voting system on September 9, 2013 by akhterhayatmalik.